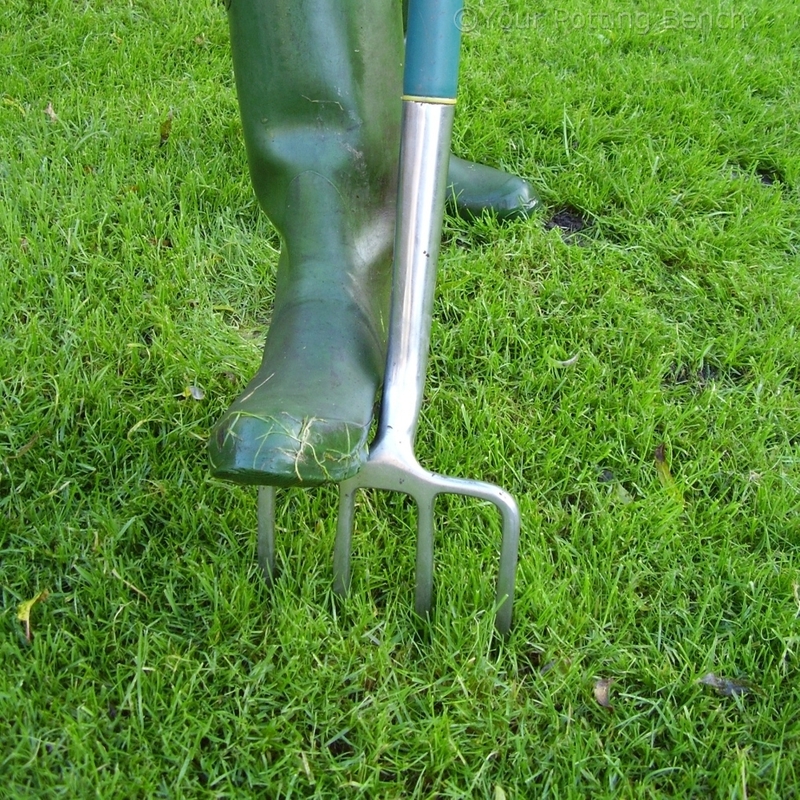 Creating a new lawn from seed relies on good preparation of the ground but will give you lasting results. 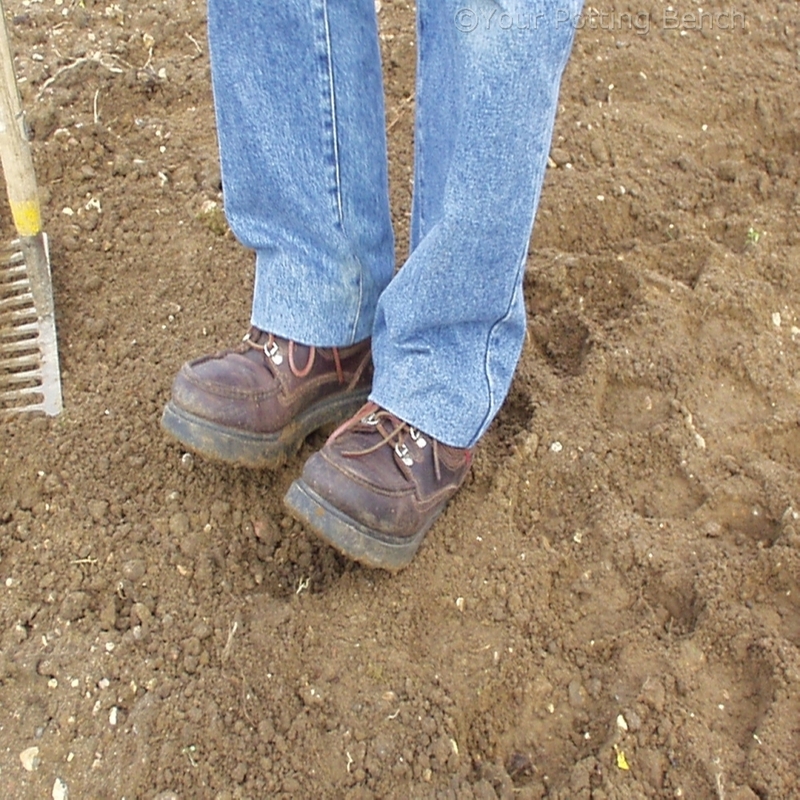 Mark out the area to be sown, rake thoroughly to remove stones then 'tread' the area on your heels to eliminate air pockets. 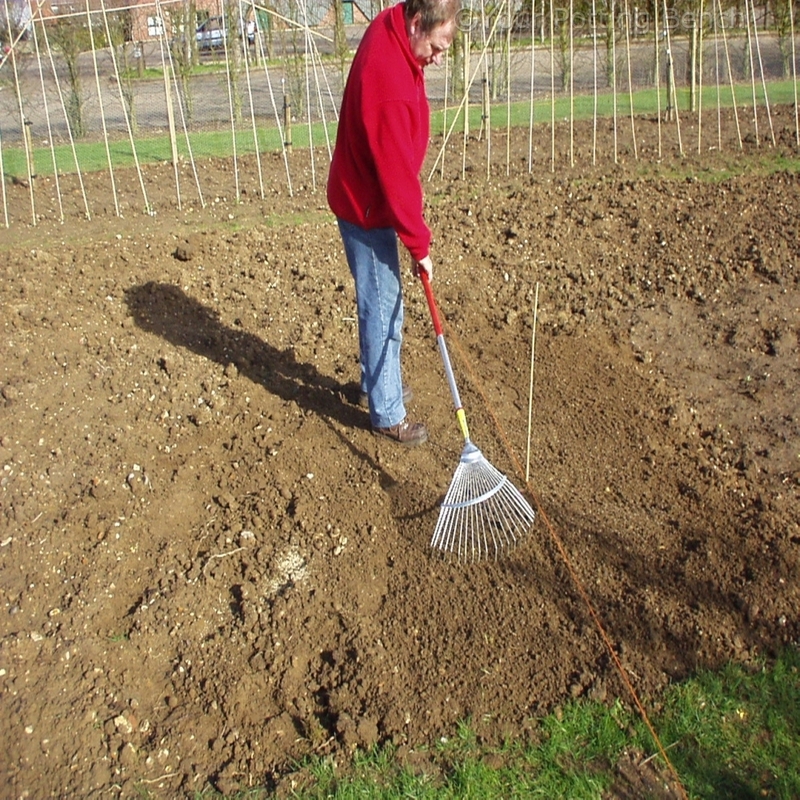 Rake again to give a fine, level surface on which to sow the seeds. 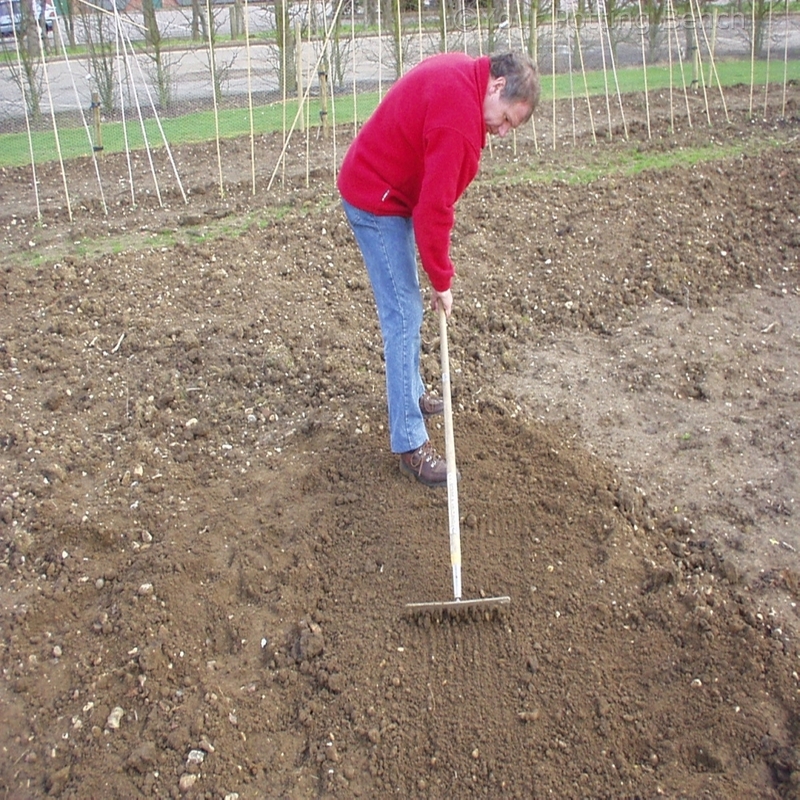 Mark out, using garden canes, a 1m square. 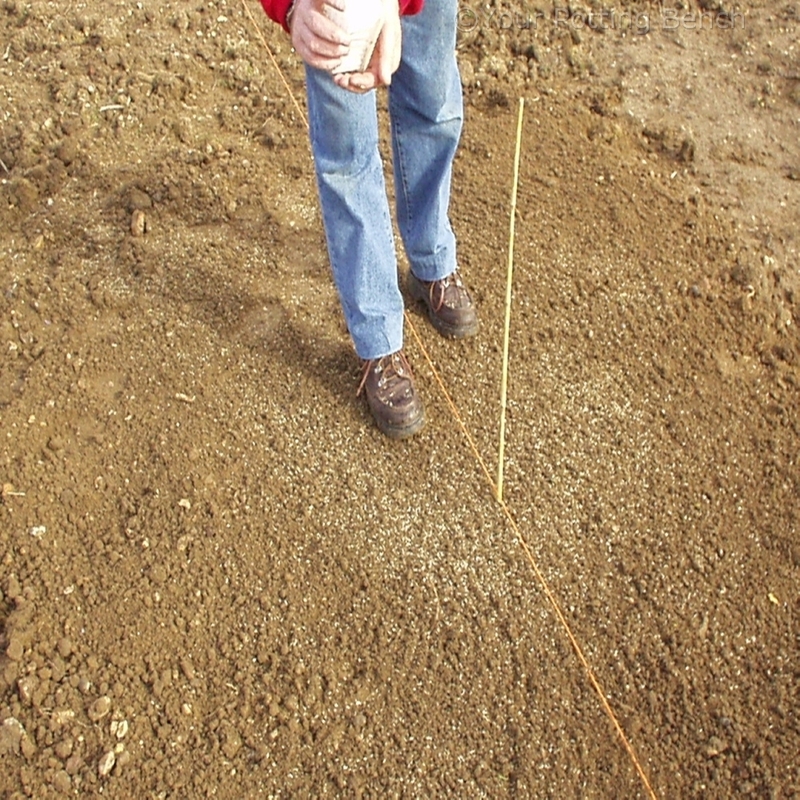 Weigh enough seed for 1m as per the packet instructions, spread evenly over the marked out square. 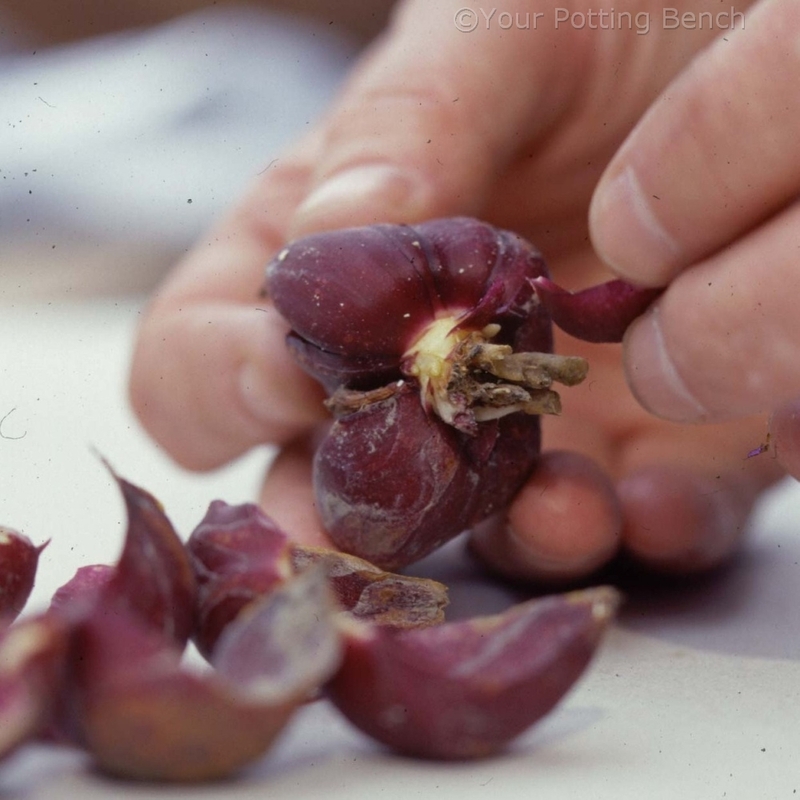 Once you have established the density at which the seed must be sown, spread seed over the rest of the area. 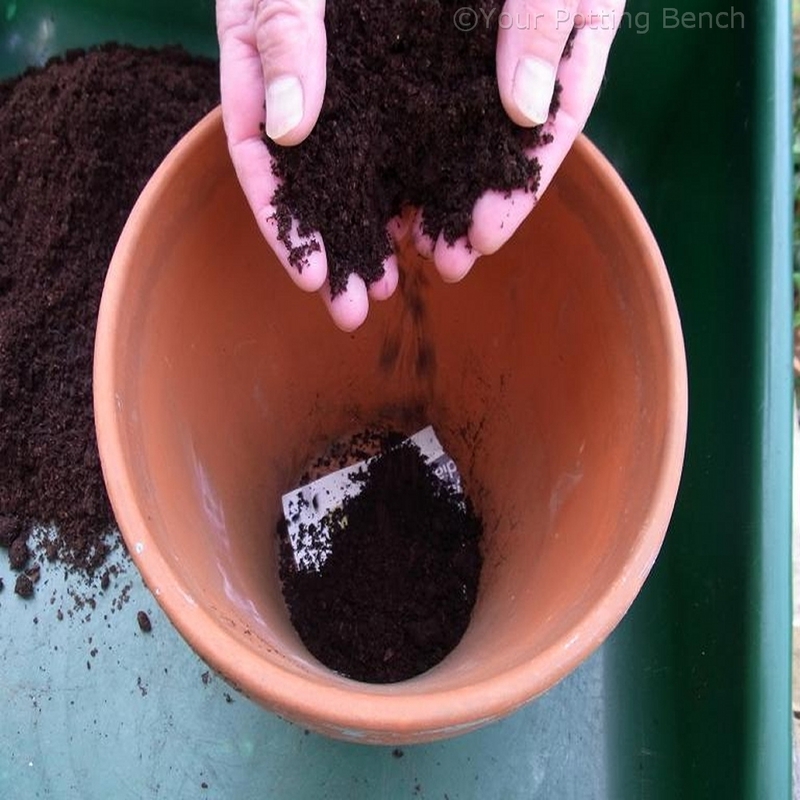 Using a spring-tined rake gently incorporate the seed into the surface of the soil. 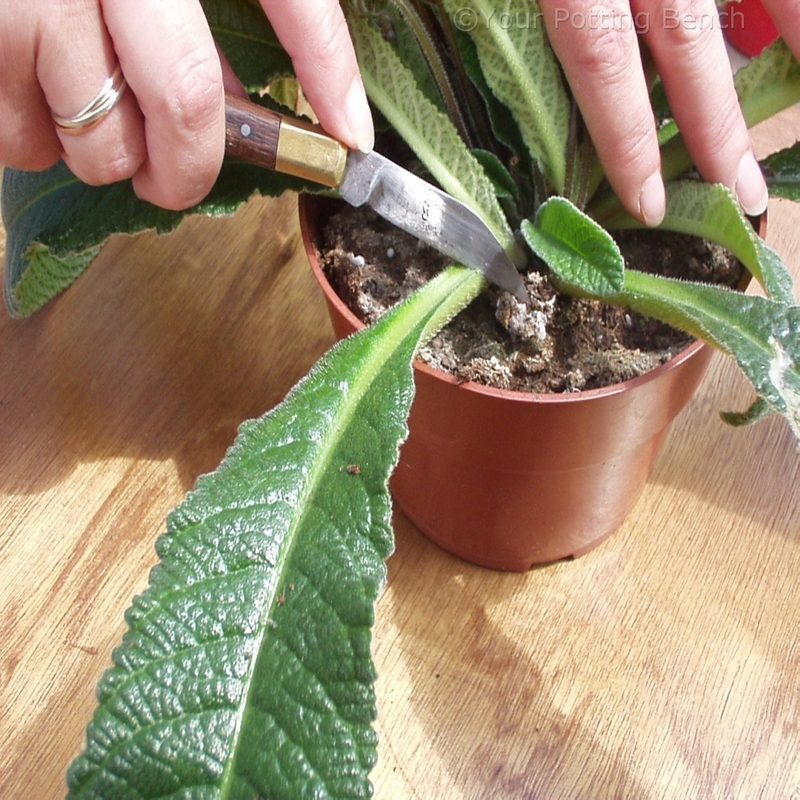 Water and protect against birds, using netting, if necessary.